Rafael Flores, who helped Mangano gain support in minority communities, was convicted in a plot to extort a local mayor. Rafael Flores, a one-time campaign surrogate for former Nassau County Executive Edward Mangano was convicted last week in El Salvador on a charge he impersonated a U.S. drug enforcement agent in a plot to extort a local mayor. Flores, formerly of East Meadow, was found guilty Feb. 7 by a national court judge in the city of San Salvador of aggravated extortion, according to a news release from the office of El Salvador’s General Prosecutor of the Republic. He will be sentenced Feb. 24 to 12 years in prison, officials said. Flores, who plans to appeal, served as a Hispanic outreach liaison for the National Diversity Coalition for Trump, which supported President Donald Trump’s campaign. Prosecutors said Flores and another man, Santos Edgardo Guzman Ayala, demanded $15,000 from Ezequiel Milla, mayor of the municipality of La Union, in exchange for not damaging his reputation. Flores met with Milla at a hotel in San Salvador, displayed a badge and identified himself an agent with the U.S. Drug Enforcement Administration, prosecutors said. The men told Milla that in exchange for cash they would lobby on behalf of Salvadoran politicians to improve “their image and process them an American visa,” prosecutors said. The judge considered encrypted text messages, testimony from the victim and law enforcement agents, and photographs from the meeting, prosecutors said. Ayala was acquitted. The judge said he was unable to determine if Ayala was aware of the plot. Flores has called the arrest politically motivated. He said the purpose of the hotel meeting was to persuade Milla to sponsor an event honoring Salvadoran politicians at the Coral House in Baldwin last February. Rafael Flores, who ran unsuccessfully for elected office in El Salvador, has accused politicians in the Central American country of corruption and involvement in drug trafficking. Nassau County Executive Laura Curran, a Baldwin Democrat, terminated Herberth Flores, of Hempstead, when she took office Jan. 1. He works as a real estate broker. In 2009, the brothers organized “Latinos for Mangano,” a group that helped the Bethpage Republican candidate gain traction in minority communities. In 2012, Rafael Flores sparked demonstrations in Freeport for arranging to bring then-Salvadoran Vice President, and now President Salvador Sanchez Cerén to Long Island. Ceren had attended anti-U. S. demonstrations after the Sept. 11 attacks. Rafael and Herbert Flores pleaded guilty to attempted bribery in 2005 as part of an insurance scam to sell patient information from the Nassau University Medical Center. Rafael was sentenced to 90 days in jail and Herberth was sentenced to 60 days. 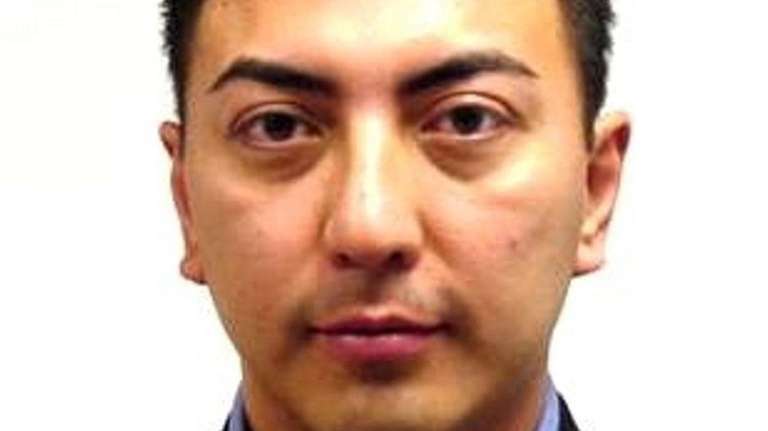 LIer accused of impersonating DEARafael Flores, a political operative and one-time surrogate for Nassau County Executive Edward Mangano in ... LI crime statsSearch crime statistics in Nassau and Suffolk counties from 2006 to 2016. 5 ways to send story tips to Newsday Do you have information that might lead Newsday to an important story, or an investigation? A document that starts us on the trail? Here are five ways for you to send our journalists tips, documents and data with a range of security options.